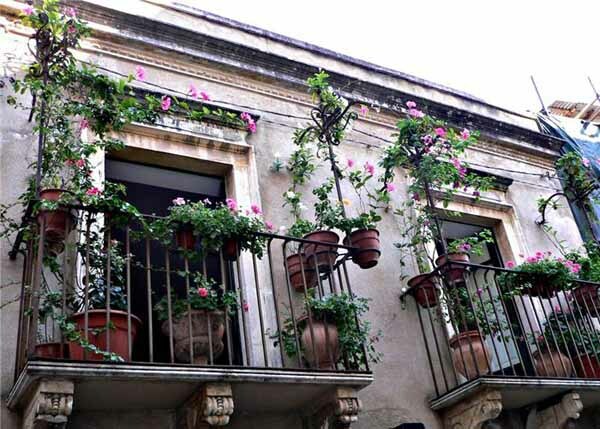 Balcony decorating with flowers and plants are a nice way to create beautiful, eye catching blooming balcony designs that make streets look festive and joyful. 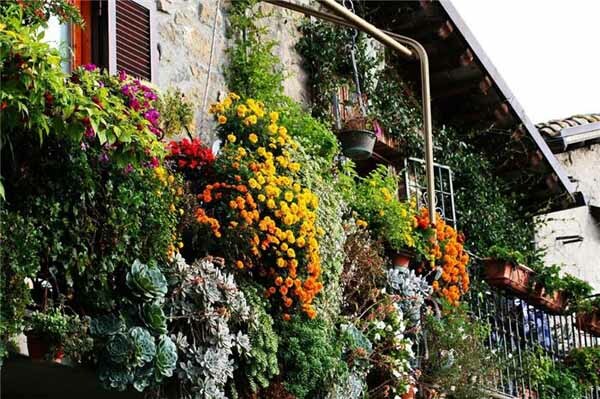 Balcony decorating with flowers and plants are simple and pleasant, adding spring fun and bright colors to house exterior design. 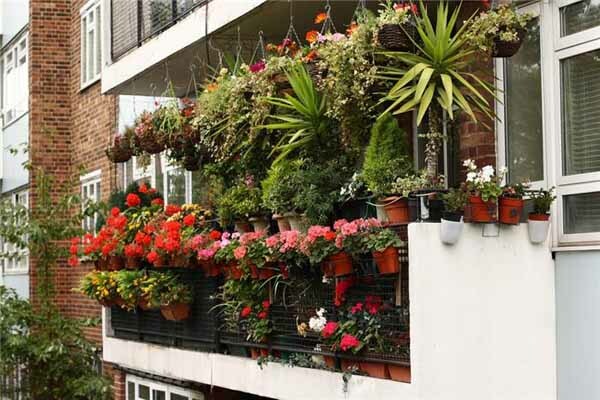 Balcony decorating with flowers and plants include hanging planters and arranging large boxes with plants on your balcony floor. You can buy flowers and plants at different places. Outdoor markets and local garden decor stores offer attractive containers and beautiful blooming plants for gardens, porches, decks and balconies. Large home improvement stores like Home Depot, Wal-Mart, Kent, Rona, K-Mart and Targets and grocery stores in US and Canada sell gorgeous green plants and flowers for garden and balcony decorating in spring and summer. Photographs of beautiful balcony designs with flowers and green plants, outdoor furniture and decor accessories are inspiring and can help your to decorate your balcony in elegant and unique style. Magazines and online publications can give you ideas for balcony decorating and provide tips on how you can set it up. Hanging planters save space and make balcony designs more functional. Growing your own plants and flowers is more meaningful and pleasant. 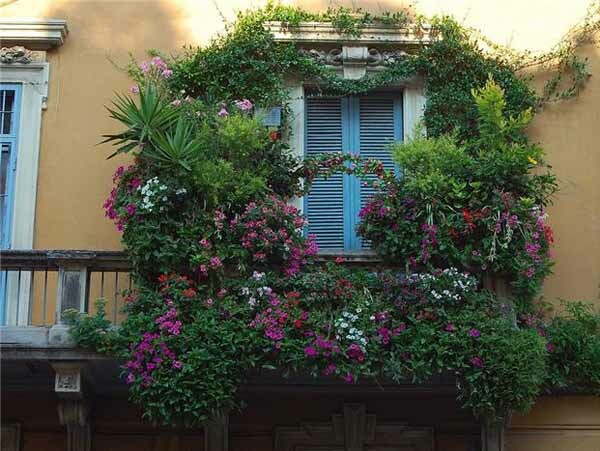 Tiny balcony space is perfect for small garden with your favorite flowers and edible herbs for cooking that add functionality and European charm to balcony designs. If your balcony is truly tiny, you must do everything possible to maximize the only outdoor space of your home with space saving ideas, long and narrow planters or folding furniture that can be mounted on your balcony wall. Avoid thinking of the balcony decoration as a whim. Small outdoor space requires you to be practical. Forget about large floor planters, round tables and comfortable chairs with foot rests and use folding stools and plant containers like window boxes for balcony railing. 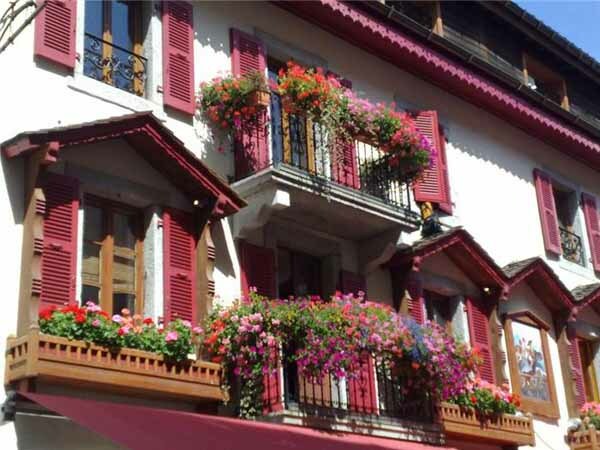 Enjoy inspiring, mood setting photographs of spring balconies.